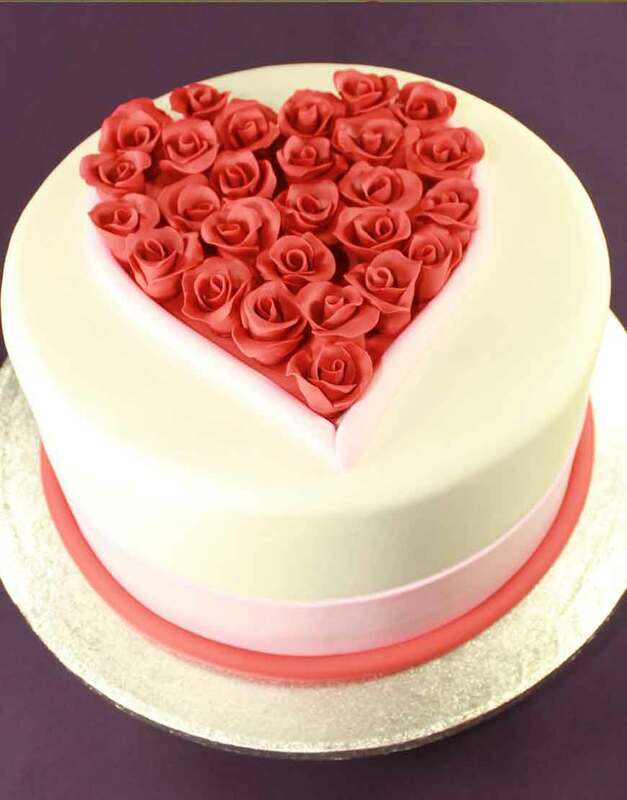 As the name suggests, red roses made from gum pastes with white fondant covering the cake makes it a great visual. This cake just not only looks amazing, it simply is majestically tasty. Bouquet of roses on a cake makes it a great delight to have in a social gathering you are planning on your next anniversary.